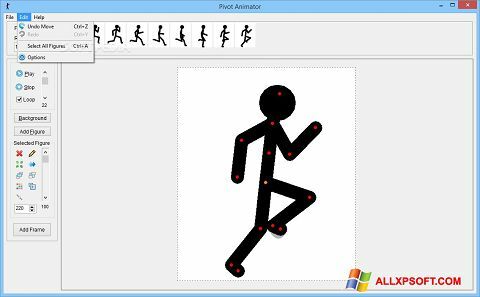 Pivot Animator for Windows XP - graphic editor designed to create animation. The program has convenient processing algorithms, allowing you to use the graphics and built-in functionality of the gradual point change of the picture. Due to this feature, you can significantly reduce the time of drawing animation projects. The application supports built-in tools for detailed drawing and playback, perfect for creating flash animations. You can free download Pivot Animator official latest version for Windows XP in English.